Something exciting is happening in higher education in Africa. Unlike basic education where the curriculum is centralized and often changed at whim, higher education curriculum tends to be stabilized for a longer time. Universities also have the right to select what to teach, who to teach and how to teach. But in there lies the problem: lethargy in teaching with resultant inefficient learning. Employers have had occasion to complain about the quality of graduates in terms of skills and attitudes to work. To fill the perceived gap in skills, the Partnership for African Social and Governance Research ( PASGR), a nongovernmental organization, came up with an idea to revolutionize teaching processes in African Universities.Prior to this, PASGR had enjoined seven universities to develop and teach a programme on Master of Research and Public Policy. Experience from MRPP showed that apart from content what ailed African Universities more was lack of effective pedagogical skills.Many university lecturers are still hooked to the cathedral lecture approach. However, it is important that universities refocus their teaching methodology to make it more learner-centred. Learning should be about the learner, not about the teacher. Transformative curriculum tackles the delivery modes. What is learnt depends on how teaching is done. The world over there are shifts to embrace the outcomes approach to learning by assisting learners construct knowledge rather than delivering knowledge which lecturing tries to do. Against this background, PASGR decided to develop a postgraduate course in pedagogy dubbed Pedagogical Leadership in Africa (PedaL). PedaL is funded by a number of development partners under the auspices of Strategic Partnerships for Higher Education Innovation and Reform supported by UKaid. In this specific case, the United Kingdom appears to put its money in the right pot: the impact is immediate! PASGR has incorporated a diverse team with a shared vision of transforming teaching and learning practices to enhance the quality of graduate programmes. Other founder members include: University of Ghana, the University of lbadan, Uganda Martyrs University, University of Dar es Salaam, Egerton University; The Institute of Development Studies (at the University of Sussex, UK); and, Alliance for Research Universities in Africa. The PedaL training programme was developed in a participatory process between April and June 2018.The curriculum design team included university academics, policy actors, prospective employers and resource persons from the region and the United Kingdom. The Open University and Institute of Development Studies at Sussex played benchmarking and quality assurance roles. The programme was piloted in July 2018 and over 160 faculty from 20 universities trained in Nairobi in August 2018. PedaL plans to move the training to individual country level universities. For example, during the last week of January 2019 the University of Nairobi’s Department of Political Science and Public Administration hosted PedaL for a centralized training stint. In the last week of February five universities in Uganda led by The Uganda Martyrs University will host an eight day PedaL centralized training session. One hundred and forty lecturers from Makerere, Gulu, Kisubi and Kyambogo have confirmed attendance. In April 2019 PedaL training is scheduled to move to West Africa. 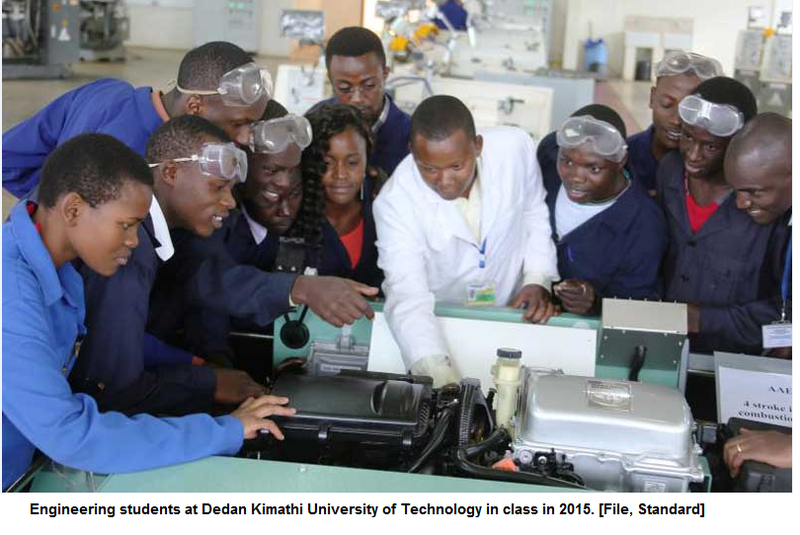 In September 2019 two universities in Kenya are scheduled to host the PedaL centralized training sessions. Clearly PedaL’s greatest impact will be to solidify and expand the base for pedagogical innovations in universities in Africa. The revolution is in persuading faculty to adopt better learner centred methods of teaching. In the PedaL training model, centralized training takes ten days of face-to-face encounter. Thereafter learners are engaged in distance learning through a safe Learning Management System platform. Interaction between facilitator and learner is real time. Initially there was apprehension that many university lecturers would resist application of modern technology. Experience has shown the contrary. Faculty is eager to apply new methods of teaching. There is plenty of excitement during training workshops on the use of technology to enhance learning. Lecturers want to know how they can prepare and use videos, slides and electronic 3-dimensional materials to teach more effectively. Age does not appear to hinder uptake of technology enhanced learning, a hallmark of PedaL. Clearly the role of the lecturer in the African university will soon change. The university classroom will no longer be the place for lecturers to work very hard. Instead it will change to become a place for lecturers to design learning for students to work hard and learn by themselves for themselves. But governments have to play the role of providing modern facilities. Four walls are no longer sufficient.